I finally finished my bag for the International Tote Exchange. I decided to make a backpack so my pal could get a lot of use out of it. It doesn't look so great in the photo but in real life I think it looks pretty good. Hopefully my pal will think so too! I found some wonderful, soft Malabrigo and knit and knit and knit. 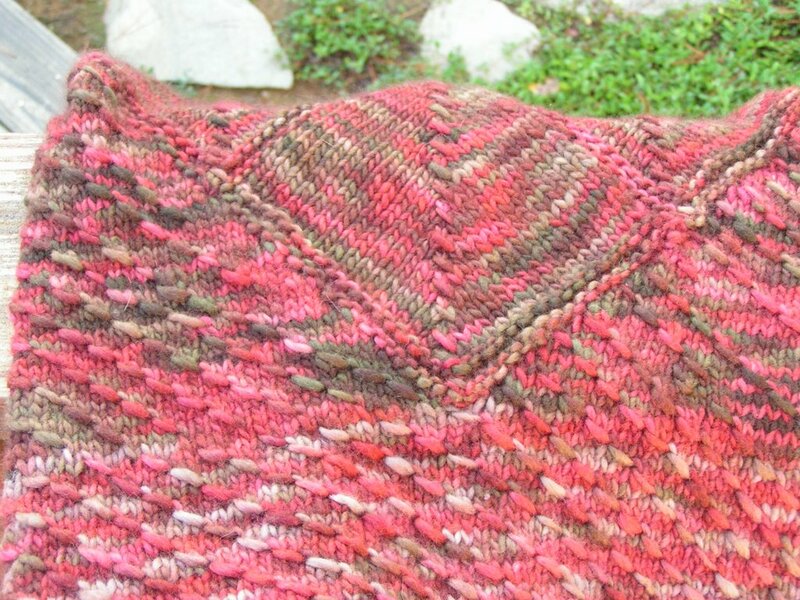 You can see the cool stitch pattern here. Also there are some neat diamonds at the top. 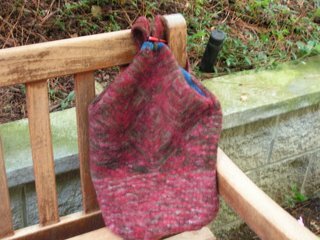 This is what it looked like before felting. The alligator is there as apoint of reference. 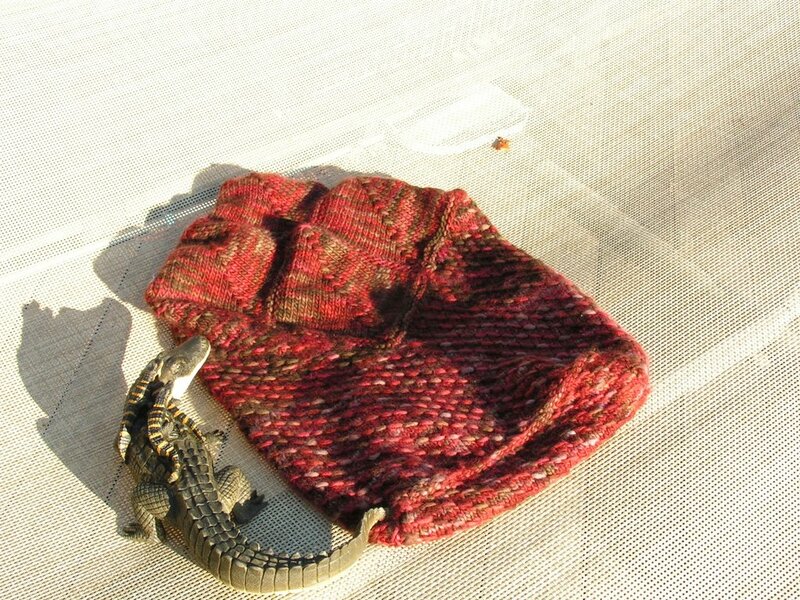 After felting the bag is the same size as the gator. I'm very happy with how this turned out with the one exception that the felting all but obliterated the stitch definition. I really loved the stitch and the inset diamonds and it's a shame they sort of went away with felting. Then when you look inside you get a surpise - a deep blue interior (sorry for the blurry photo). So now it is winging its way around the country to a hopefully happy recipient! Enjoy. That turned out great! I wish I could see it in person. I love the contrast color. Allison, love the bag. What yarn did you use? It reminds me of Lisa Souza's Little Devil colorway. Thanks Holly. 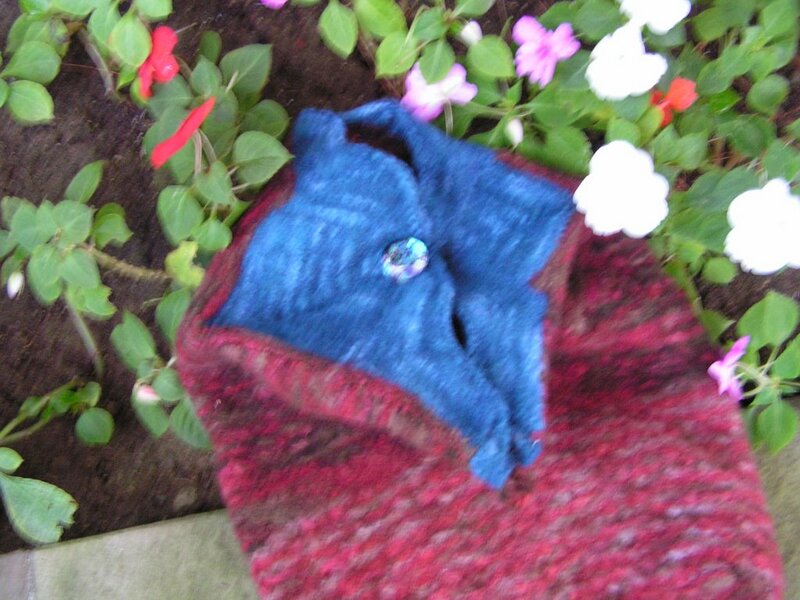 I used Malabrigo in a color called Stone Chat. The blue is also Malabrigo but I can't remember the color! Gorgeous bag Allison! You did a fabulous job with all that mitering work...I love Malabrigio yarn...isn't it fabulous to work with? Let me know what pattern you used for this backpack...I would like to make one myself!